Have You Been Charged With Fraud In New York? Nassau County Takes Fraud Charges Seriously! FIGHT YOUR FRAUD CHARGE WITH AN EXPERIENCED NASSAU COUNTY CRIMINAL DEFENSE LAWYER! DO NOT PLEAD GUILTY TO FRAUD CHARGES IN NEW YORK! Fraud is one of the most common types of white collar crimes committed in the State of New York. As such, law enforcement and the judicial system take these offenses very seriously. You should never plead guilty to fraud charges without speaking with a qualified and reputable criminal defense attorney. Because of the potential consequences associated with these types of crimes, having the best criminal defense attorney on your side can ensure you have the most favorable outcome. If you or a loved one have been charged with a fraud offense in New York State, contact The Law Offices of Michael H. Ricca P.C. today for a free consultation. We stated above that fraud is a white collar crime. White collar crimes are non-violent offenses that are committed with the intent to generate an unlawful financial gain. As such, white collar crimes are often associated with the world of business, finance, or politics – although they are not exclusively committed by individuals who work in these fields.  In New York, fraud offenses can be found throughout the State’s penal law. Some of the most common types of fraud offenses, however, include credit card, insurance, mortgage, scheming, and welfare fraud. Let’s take a look at some of the most common New York State (NYS) Penal Laws regarding fraud. Grand Larceny in the Fourth Degree (NYS Penal Law 155.30): Grand Larceny charges may be applicable if the stolen property consists of a credit or debit card. This is a Class E Felony. Criminal Possession of Stolen Property in the Fourth Degree (NYS Penal Law 165.45): If you are in possession of stolen property, including a credit card, debit card, or public benefit card, you may be charged with this offense. You may be thinking that this is similar to the above charge. That’s because you can be charged with BOTH offenses if you have someone else’s stolen card on you. This is a Class E Felony. Forgery in the Second Degree (NYS Penal Law 170.10): If you forge a written document with the intent to fraudulently obtain a credit card, you may be charged with this. This is a Class D Felony. Insurance Fraud occurs when you intentionally attempt to defraud an insurer. Insurance Fraud in the Fifth Degree (NYS Penal Law 176.10): The simple act of committing insurance fraud is a Class A Misdemeanor. Insurance Fraud in the Fourth Degree (NYS Penal Law 176.15): If the act results in the obtainment of more than $1,000, you may be charged with this. This is a Class E Felony. Insurance Fraud in the Third Degree (NYS Penal Law 176.20): If the insurance fraud results in more than $3,000 of illegally gained money, you may be charged with this Class D Felony. Insurance Fraud in the Second Degree (NYS Penal Law 176.25): Insurance fraud in the Second Degree occurs if you have fraudulently obtained in excess of $50,000 from an insurer. This is a Class C Felony. Insurance Fraud in the First Degree (NYS Penal Law 176.30): If the insurance fraud totals more than $1 million, it is a first degree offense. As such, it is a Class B Felony. Other types of insurance fraud include Aggravated Insurance Fraud and multiple degrees of Life Settlement Fraud. Mortgage fraud occurs when a person knowingly or intentionally attempts to defraud in order to obtain or write off a residential mortgage loan. The severity of a mortgage fraud charge is almost entirely dependent on the value in question. Mortgage Fraud in the Fifth Degree (NYS Penal Law 187.05): The simple act of committing mortgage fraud falls under this law. This is a Class A Misdemeanor. Mortgage Fraud in the Fourth Degree (NYS Penal Law 187.10): If the residential mortgage loan totals more than $1,000, you may be charged with this crime. This is a Class E Felony. Mortgage Fraud in the Third Degree (NYS Penal Law 187.15): If the fraud included a residential mortgage loan amount of more than $3,000, you may be charged with this Class D Felony.  Mortgage Fraud in the Second Degree (NYS Penal Law 187.20): For fraudulently obtaining a residential mortgage loan in excess of $50,000, you will face this charge. This is a Class C Felony. Mortgage Fraud in the First Degree (NYS Penal Law 187.05): If the illegally obtained loan totals more than $1 million, you will face the most serious type of mortgage fraud charge. As such, this is a Class B Felony. Being caught scheming to defraud the state is also frowned upon. A scheme, per NYS Penal Law, occurs when there is a systematic, ongoing intentional course of conduct that strives to fraudulently obtain property from more than one person. 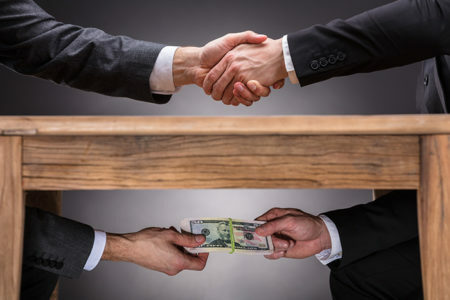 Scheme to Defraud in the Second Degree (NYS Penal Law 190.60): If you scheme to defraud more than one person, you may find yourself charged with this offense. Keep in mind, the identity of just one victim will need to be proven in order to be convicted. This is a Class A Misdemeanor in New York. Scheme to Defraud in the First Degree (NYS Penal Law 190.65): If you are accused of scheming to defraud 10 or more victims, you may be facing this more serious charge. However, if the property is valued to be more than $1,000 or includes a vulnerable, elderly person, you may face this charge even if there are only 2 victims! This is a Class E Felony if you are convicted. Welfare fraud occurs when you make false statements or present yourself as another person in order to obtain public assistance benefits. In many cases, the value of the public assistance you have fraudulently taken will affect the severity of the welfare charge. Welfare Fraud in the Fifth Degree (NYS Penal Law 158.05): This offense is the least serious of all of the welfare fraud charges. You may face yourself facing this charge if you have fraudulently taken or obtained public assistance benefits of any level. This is a Class A Misdemeanor. Welfare Fraud in the Fourth Degree (NYS Penal Law 158.10): If the value of the public assistance you have fraudulently taken exceeds $1,000, you may be charged with this more serious version of Welfare Fraud. This is considered a Class E Felony in New York. Welfare Fraud in the Third Degree (NYS Penal Law 158.15): In order to be charged with Welfare Fraud in the Third Degree, you must be accused of fraudulently taking public benefits valued at more than $3,000. This charge is a Class D Felony. Welfare Fraud in the Second Degree (NYS Penal Law 158.20): If you are accused of taking more than $50,000 in public benefits through fraudulent means, you may be charged with this offense. This is a Class C Felony. Welfare Fraud in the First Degree (NYS Penal Law 158.25): This is the most serious form of welfare fraud and includes the illegal taking of more than $1 million in public assistance benefits. This charge is a Class B Felony. New York is notoriously tough on crime. White collar crimes may not be considered violent or heinous, but they are still criminal actions that will result in serious consequences. Fraud charges are non-violent offenses. The below chart can help you determine the potential jail time and financial punishments should you plead guilty or be convicted of a fraud offense. You should be aware that those with previous criminal convictions will face increased consequences. For example, if you are on parole and are charged with another offense, you will likely be re-incarcerated. You may also find that, if you the crime you committed is considered a Class E Felony, the new charge may actually be tried as a Class D Felony instead. This is because New York is notoriously tough on repeat offenders. In addition to this, if you are charged with crimes after being convicted of a fraud offense, those charges may be elevated as well. Jail sentences and fines are not the only way a criminal conviction can affect your life. Employment, loans, housing, college admissions, and other such things can be restricted, if not outright, denied. Employment: If you cannot pass a background check, it is likely that your employment application will be dismissed. White collar crimes, like fraud, are definite red flags for potential employers. This can severely limit your employment potential, often resulting in a reduction in your gross income. Loans: Financial institutions also look unfavorably on those convicted of white collar offenses. If you have defrauded someone, those who finance homes, automobiles, and personal loans are less likely to approve your loan application for any reason. Given the expenses related to a conviction, this could have devastating consequences. Housing: Housing may also become harder to find. Whether you cannot get approval for a residential mortgage loan or you cannot pass a background check for a rental property, you may find yourself facing a loss of your home in addition to the other consequences of your conviction. You will also lose out on public housing benefits. Colleges: Colleges like to admit those who demonstrate good character. They also like to admit those who can pay their tuition or qualify for tuition assistance. A criminal conviction for fraud can affect all of this and result in the rejection of your application. Loss of Rights: In New York, felons do not have the right to vote or serve as a juror. Impacts to Personal Relationships: Personal relationships are also hit hard if you are convicted of a fraud offense. Fraud itself implies a level of untrustworthiness that violent crimes typically do not. Fraud speaks of a level of deceit that many loved ones may find hard to cope with. In addition to this, the long jail sentence and devastating financial consequences of a conviction may create a burden that is too hard to overcome, often resulting in the disintegration of the family unit. FIGHT YOUR FRAUD CHARGES WITH THE BEST CRIMINAL DEFENSE ATTORNEY IN NASSAU COUNTY! Fraud charges are serious and so are the potential consequences of a conviction. If you or a loved one have been charged with a fraud offense, contact The Law Offices of Michael H. Ricca P.C. today to find out how we can help. Even if you are being charged with a misdemeanor fraud offense, the result of a guilty plea or conviction is still a criminal record with the possibility of imprisonment or hefty fines. You should never face a criminal charge alone and we can help. With years of experience helping clients beat charges, The Law Offices of Michael H. Ricca P.C. can help you achieve the most favorable outcome possible. An excellent strategist with extensive experience in the courtroom and negotiations, Michael H. Ricca will work with you throughout the entire criminal process.